This year really has been exciting and there is more to come! We've got new products as well as a special interview with Mike Porter, our Business Development Manager, who has a story to share on our new dieboard product line. Check it out below, and enjoy! 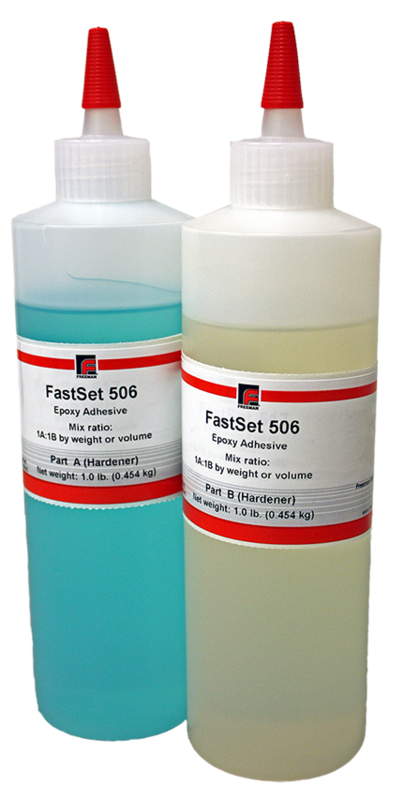 Our new adhesive, Freeman Fast Set 506, is a rapid-curing, 2-part epoxy adhesive excellent for bonding a wide variety of materials. It is ideal for metal, wood, ceramic, fiberglass, and difficult-to-bond surfaces such as the RenShape 5179 Foundry Board, RenShape 5169 Foundry Board, and the RenShape 472 Fixture Board. This product features a 5-minute gel time allowing material assembled with the 506 to be machined within one hour. Available in a 2-pint kit. Visit our website or contact your local technical representative today! In 1992, Mike Porter began his journey into the dieboard business. After several years of learning the industry, market, and customers, he indulged his entrepreneurial side and created PSC Global—a supplier to the steel rule die industry specializing in high quality dieboards. To gain a better understanding of why different species are used to make dieboards, we sat down with Mike and asked him to help us clarify our broad dieboard line, starting with the three primary species—-birch, maple, and ash. Q: Can I use acetone to thin a Duratec Primer? A: We do not recommend using acetone--this would thin the primer but leave you with a rougher surface. MEK Solvent is a better option. Q: Can I tint the TUF line of Polyester Repair & Build-up materials? A: The fillers are available in a variety of colors. It would be difficult to change the color of these materials. However, our Master Quick-Bild II is manufactured in an off-white color that allows for tinting with the use of our white cream hardener.